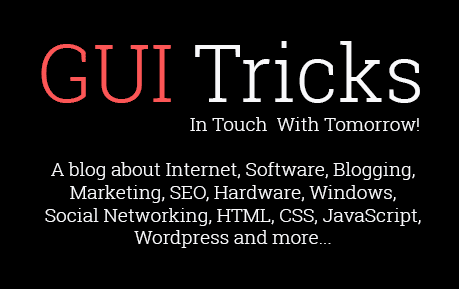 How To Connect A Laptop Computer To A TV Using HDMI | GUI Tricks - In Touch With Tomorrow! How To Connect A Laptop Computer To A TV Using HDMI - GUI Tricks - In Touch With Tomorrow! There are many methods in which everyone could connect their laptop computer to their television nowadays. With most TV's being manufactured with HDMI connections, the problem most people find in knowing how to connect their laptop computer to their TV mistaken which cable method to choose. So, in order to simplify this process for you, here are basic methods in connecting your laptop computer to your television screen to allow you see your computer work through a bigger screen. 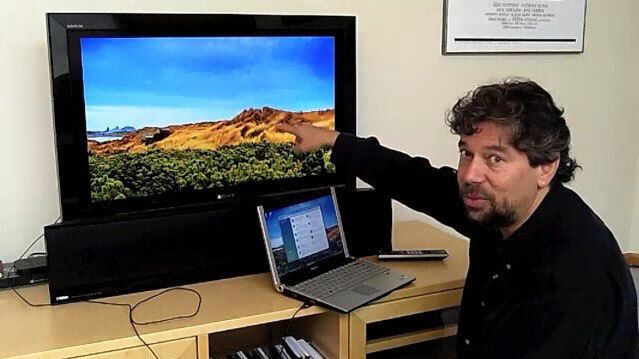 High-Definition Multimedia Interface or (HDMI) is the best video and audio connection possible in today's technology for connecting a laptop to an HDMI-capable television. This type of connection is only possible if you have a TV HDMI connection. If you have a standard set classification TV, this option is not available to you. But, not commonly known is that your laptop must also be HDMI capable as well in order to transmit this type of signal to your TV. For the most part, HDMI cables tend to be more expensive than most connections - but the quality is far greater. If you have a USB cable, then using a USB to HDMI connection is possible. Here is how to use an HDMI connection to connect your laptop to a TV so you can watch anything you wish to view on your laptop on your big TV screen. We'll also show you how to control your TV from your laptop. There are two methods to this task: you can either mirror what is on your laptop's computer so that it displays on the TV, or set up the TV as a second screen, by extending your computer into a second display screen. In this article, we’ll explain step by step methods of connecting HDMI, as it is easy, and allows you to use your laptop as a control. (Imaging the content of your computer on your TV screen is a little difficult to set up because you need to set the best resolution for the TV with a workable resolution on the computer). You'll need a laptop with an HDMI port and a TV with an HDMI input - basically, any TV will have one, but not all laptops have HDMI. Finally, you'll need an HDMI cable. Any HDMI cable will work, one thing to consider, however, is that TVs have full-size HDMI inputs but not all laptops do. 1. Plug in the HDMI cable to the HDMI port at the back of the TV; notice the port you have plugged into. Then use your TV remote or the buttons on the frame scroll over the 'Inputs' until you get to the port. The screen should be blank. 2. Now you have to click on your laptop to send a signal down the HDMI port. In Windows, scroll into Control Panel and select 'Adjust screen resolution' from the list below 'Appearance and Personalization'. In the next screen, you will see two different displays. (If not, check that everything is physically connected properly). If all is connected properly, you will be able to see different displays, one of which will be unable. This is the reason there is nothing to show on your TV screen. Using the laptop, click on the icon for the second monitor and select 'Extend the desktop onto this monitor'. Click 'Apply'. If it works you should now see a TV Windows image Windows desktop background picture on the TV. If not, don't panic - try again. Because for some reason, this process doesn't always work the first time. 3. Now you need to set the screen resolution of your second display on your laptop so that it looks bright on the TV. To do this simply selects the second display within 'Adjust screen resolution', and using the 'Resolution:' scroll-down; adjust the resolution until the desktop background images fit across the whole TV screen. What works best will depend on the aspect ratio and size of your TV, but you are aiming for 'high-definition', so start from the top and work down. You need a resolution not lower than 1280x720 to make this connection meaningful. That's it, there are other inputs and options available to connect your computer to your TV, but HDMI is the cheapest, easiest, most commonly used options, and the image and sound quality are unbeatable.